Running 5/12 – 5/18 Stop & Shop, Giant, and Martin Have Bertolli, Pompeian, and California Olive Ranch 16-25.5oz on sale for 50% off! 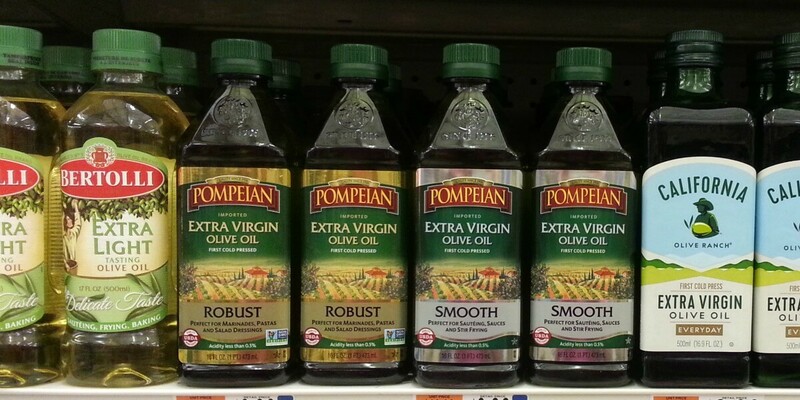 We have a $0.60/1 Bertolli Olive Oil Bottle or Olive Oil Spray coupon available from the 3/26 Smart Source, we also have a $0.55/1 Pompeian Extra Virgin Olive Oil printable coupon available. 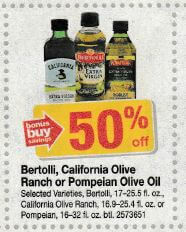 The Pompeian Olive Oil will be $3.50 each, and the Bertolli will be $3.75 each. After coupon we can pick up the Olive Oil as low as $2.40 each! Great Deal – Stock up! as low as $2.40 each after coupon! Be sure to check out the rest of the Stop & Shop Deals for the week before you shop.